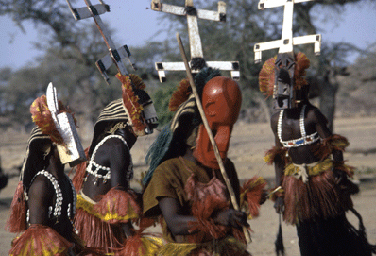 The Kanaga mask is used in deeply sacred rituals by the Dogon people of Mali. Carving this mask is as important a ritual as the ceremonies in which the mask is used. The carver, a blacksmith, finds the proper tree and, in a secret cave outside the village, he shapes the mask with gestures which repeat the movement of the dancers who will wear it. When a dancer wears the Kanaga mask he becomes the Creator symbolically. He touches the ground with his mask and directs a soul to Heaven. Although these dances are now frequently performed for the public, the meaning of Kanaga is retained by the Dogon who fear, respect and depend on the power of the mask. This film records a 12 day ritual performed by Mambudiri Brahmins in Kerala, southwest India, in April 1975. This event was possibly the last performance of the Agnicayana, a Vedic ritual of sacrifice dating back 3,000 years and probably the oldest surviving human ritual. Long considered extinct and never witnessed by outsiders, the ceremonies require the participation of seventeen priests, involve libations of Soma juice and oblations of other substances, all preceded by several months of preparation and rehearsals. 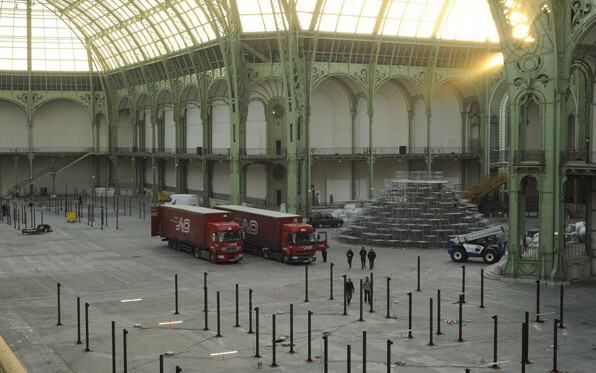 They include the construction, from a thousand bricks, of a fire altar in the shape of a bird. Around 1500 B.C., nomads who spoke an Indo-European language entered India and evolved a complex ritual involving the cults of fire and Soma, a hallucinogenic plant that grew in the Western Himalayas. 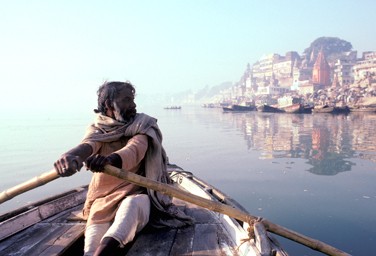 Their Vedic language developed into Sanskrit, the classical language of Indian civilization. Among the later religions of India, Hinduism accepted and Buddhism rejected the Vedic culture. But both retained many of its ritual forms and recitations. Some of these have traveled all over Asia. Agni, the fire, is still worshipped with the help of Vedic mantras in Japanese Buddhist temples. In India itself, the preservation of the Agnicayana, though partly explained by the extraordinary conservatism of the Vedic Brahmins and their dedication to the culture of their spiritual ancestors, remains one of the miracles of history. 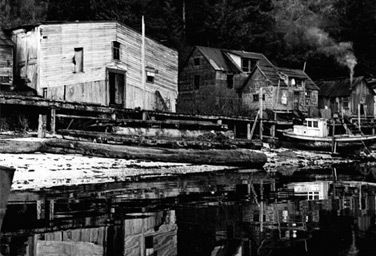 In the late 1940′s Blunden Harbour was a small village on the coast of Vancouver Island in British Columbia inhabited by a handful of impoverished families of Kwakiutl Indians who gained their meager livelihood from fishing and gathering. 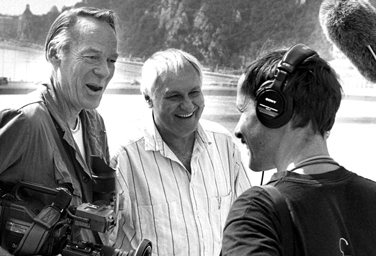 Robert Gardner, then a graduate student of Anthropology at the University of Washington in Seattle, went to Blunden Harbour to do research for a major film project about the Kwakiutl about whom Ruth Benedict and Franz Boas had written so eloquently. In the course of his stay in the village, he he saw an opportunity to do a short, black and white sketch for a larger portrait of a people and a place. 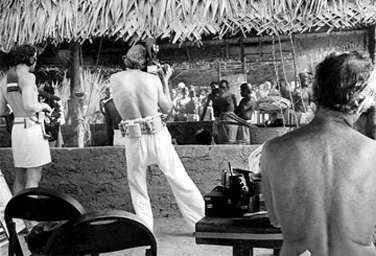 For this he invited William Heick to do the photography. The larger work was never done and Blunden Harbour remains one of the few authentic accounts of this once majestic people. 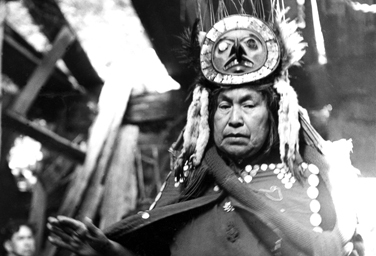 Dances of the Kwakiutl is composed of fragments filmed in 1950 in Fort Rupert, British Columbia. They were made during a performance by those still familiar with the tradition of ‘Hamatsa’ or cannibal dancing. This type of dance was brought to impressive artistic heights by the Kwakiutl people of the Northwest coast. When Michael Fitzgerald and I decided to help Mikos Jansco make The Blue Danube Waltz neither of us even considered the possibility of not watching him do it. We both loved his work and we both, perhaps for our own reasons, wanted to know how he managed to make films of such immense visual power so quickly and so inexpensively. It was not long before I had succumbed to the by now banal idea of filming filmmaking. In due course I also proceeded to betray my deepest aesthetic principles by agreeing to shoot it in (Hi8) video. Dancing with Miklos is the outcome, greatly enhanced by Zsuzsi Csakany (Jansco)’s sharp eye for her husband’s craft. 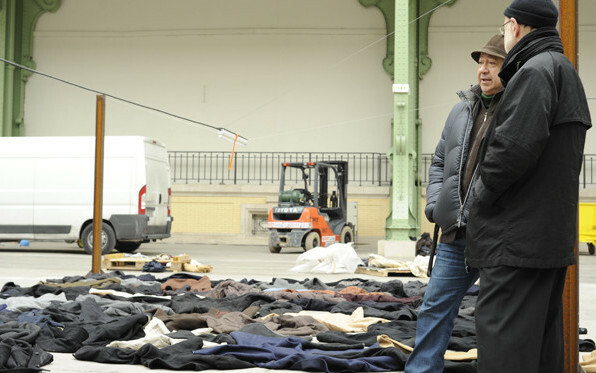 It is, though admittedly lighthearted, a deeply felt tribute to a fellow filmmaker’s grace. Dead Birds is a film about the Dani, a people dwelling in the Grand Valley of the Baliem high in the mountains of West Papua. 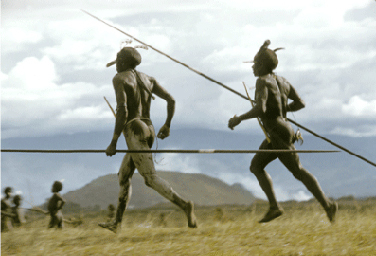 When I shot the film in 1961, the Dani had a classic Neolithic culture. They were exceptional in the way they dedicated themselves to an elaborate system of ritual warfare. Neighboring groups, separated by uncultivated strips of no man’s land, engaged in frequent battles. When a warrior was killed in battle or died from a wound and even when a woman or a child lost their life in an enemy raid, the victors celebrated and the victims mourned. Because each death needed to be avenged, the balance was continually adjusted by taking life. There was no thought of wars ever ending, unless it rained or became dark. Wars were the best way they knew to keep a terrible harmony in a life that would be, without them, much drearier and unimaginable. Dead Birds has a meaning that is both immediate and allegorical. In the Dani language the words refer to the weapons and ornaments recovered in battle. Their other more poetic meaning comes from the Dani belief that people, because they are like birds, must die. 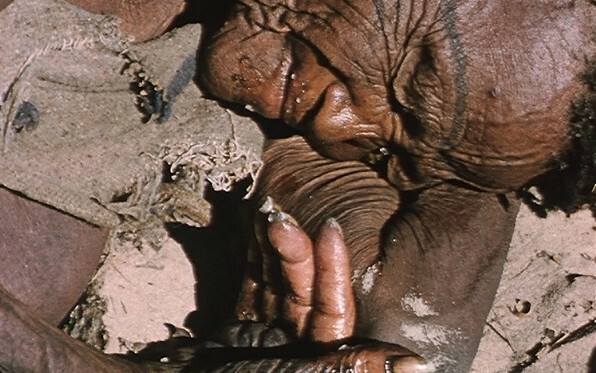 Dead Birds was an attempt to film a people from within and to see, when the chosen fragments were assembled, if they could speak not only about the Dani but also about ourselves. Deep Hearts is a film about the Bororo Fulani, a nomadic society located in central Niger Republic and the title is a reference to an important aspect of these people’s thought and demeanor. The Bororo are immensely beautiful. They are also extremely envious of each other’s looks. This envy accounts for their truly suspicious nature; one which leads quickly to feelings of fear. They are particularly fearful of being ‘devoured’ by both the eyes and mouths of those around them with whom they compete as beautiful creatures. The concept of a ‘deep’ heart is useful to them because it provides a metaphysical space in which to hide their true feelings. Deep Hearts describes the Gerewol, an occasion during the rainy season when two competing lineages come together to choose the most ‘perfect’ Bororo male. It is something of a physical and moral beauty contest in which the winner, selected by a maiden of the opposing lineage, is acclaimed the ‘bull’. 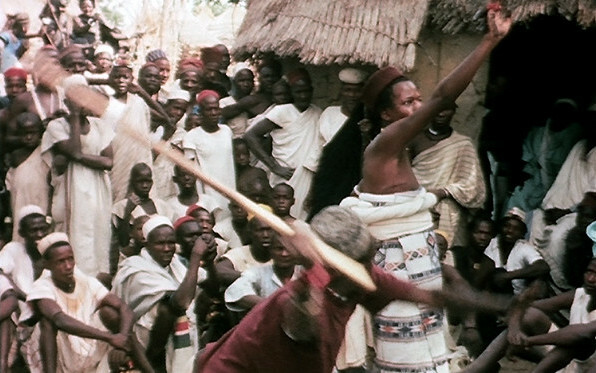 The film is also an attempt to use this ceremony of the Bororo as a way of speaking to the larger question of choice itself, something that confronts all human beings in innumerable ways. 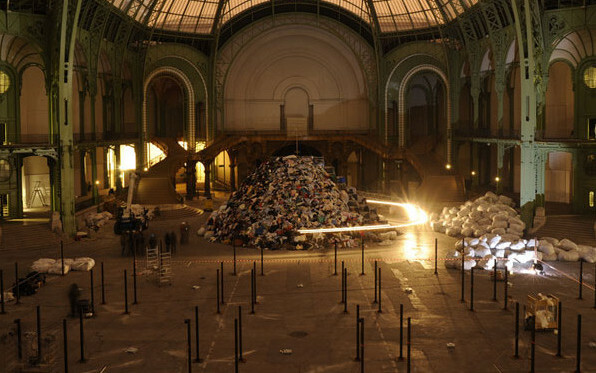 In 2010 the much beloved and admired French artist Christian Boltanski was given the immense confines of the Grand Palais in Paris to install a piece entitled PERSONNES. 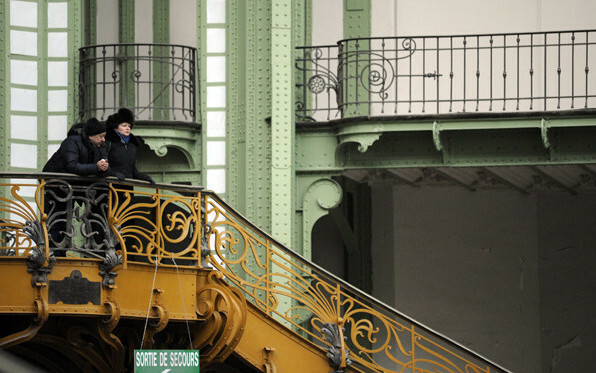 For the French, ‘personne’ means both a person and a no one. 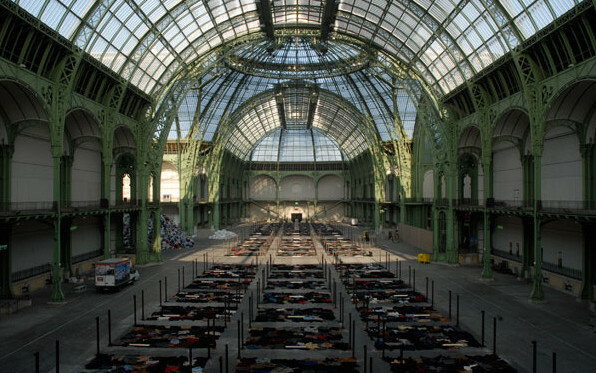 The installation was concerned with the presence and absence of people in an enormous amount (30 tons) of clothing. 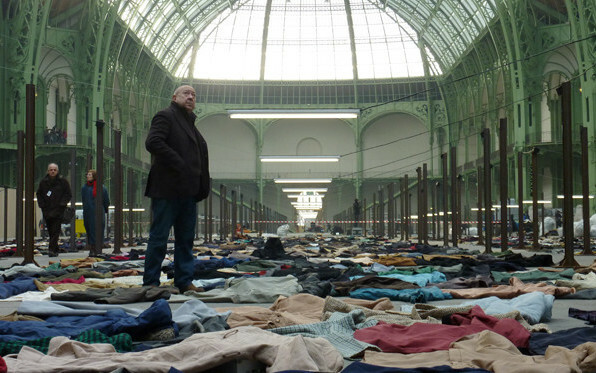 When Boltanski sees a discarded coat he is seeing a dead person who has left that coat behind. 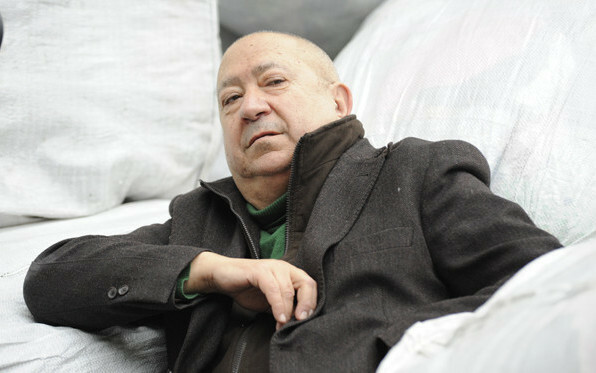 Robert Gardner has known Boltanski since the 1970s, when he invited him to the Carpenter Center for Visual Arts at Harvard as a visting artist, and the following years since Boltanski has become a major figure in the art world. 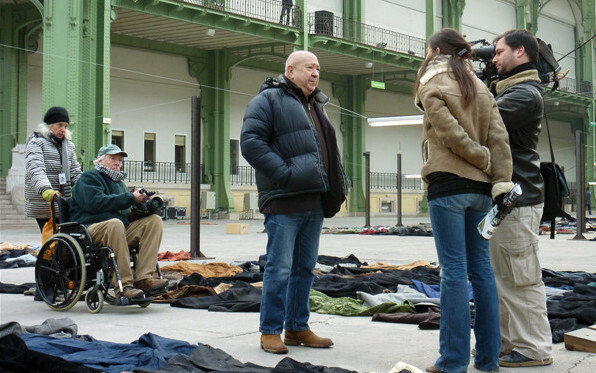 Gardner and photographer Michael Hutcherson travelled to Paris to make a film about Boltanski and the PERSONNES installation process. Forest of Bliss is intended as an unsparing but ultimately redeeming account of the inevitable griefs and frequent happinesses that punctuate daily life in Benares, one of the world’s most holy cities. 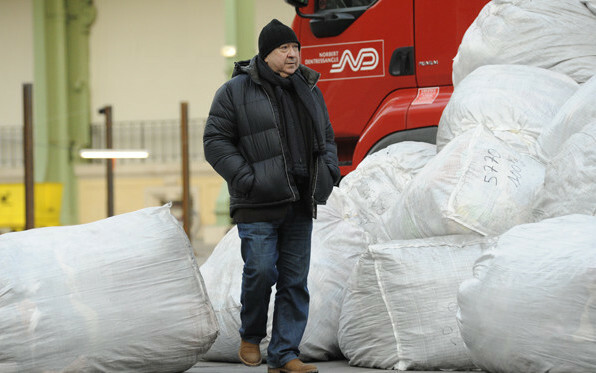 The film unfolds from one sunrise to the next without commentary, subtitles or dialogue. It is an attempt to give anyone who sees it a wholly authentic though greatly magnified view of the matters of life and death that are portrayed. Of the multitude at work, at play and at prayer, three indivividuals are seen in somewhat greater detail than others. They are a healer of great geniality who attends the pained and troubled, a baleful and untouchable King of the Great Cremation Ground who sells the sacred fire, and an unusually conscientious priest who keeps a small shrine on the banks of the Ganges. Seeing Forest of Bliss completed, I am quite certain that the animals, especially the dogs, have an importance I merely glimpsed while I was filming. The dogs and, of course, the river. In 2001, the book entitled Making Forest of Bliss was published. And released summer 2008, a Special Edition DVD contains the film optimally re-mastered for sound and image from a new 35mm blow up, Looking at Forest of Bliss (a feature-length program with Robert Gardner and Stan Brakhage), and a photo gallery featuring still images and journal entries read by Robert Gardner. 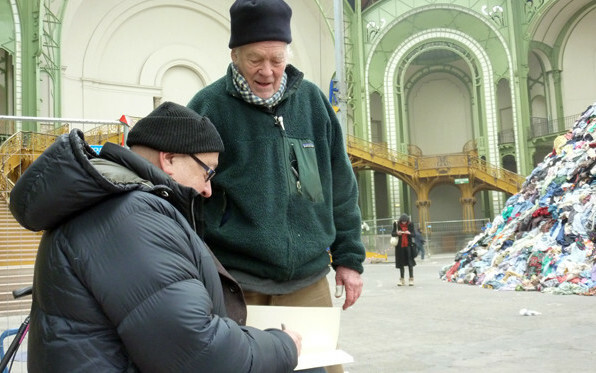 In 2010, Robert Gardner began presenting these “fragments” in various forms at Bard College, the Harvard Film Archive, Light Industry and at venues including New York’s Film Forum, as part of the retrospective Robert Gardner: Artist/Ethnographer. In the late sixties I picked up my seldom used Arri 35mm camera and set off for the famous tidal flats of Nova Scotia. This fragment is of an elderly farmer who fished a weir using his horse and carriage to go out to it with the ebbing time and home with the incoming tide. I thought I saw a nice structure for a film that even included the element of chase, that old standby of film narrative. Would the carriage get home before being engulfed by the incoming tide, would the fog appear and obscure all points of reference? 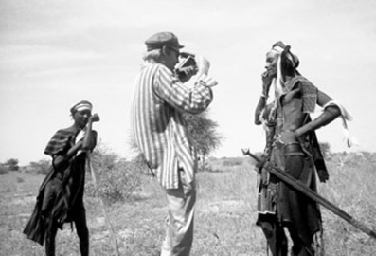 In 1967 I was hoping to make a film about sheepherders in Nigeria. Civil War intervened and I had to be content with a few days attending a ritual called “sharo” in a small village near Kano. It qualified as a true ‘ordeal’, a contest of endurance to pain. 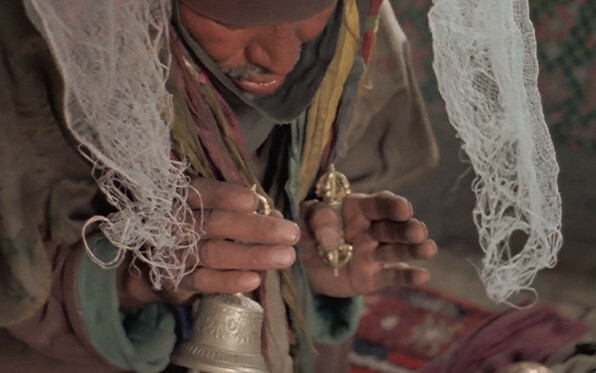 I went to Ladakh in the vain search for a shaman. What I found was a species of Buddhist healing that involved trance and a variety of magical tricks of the healing trade. 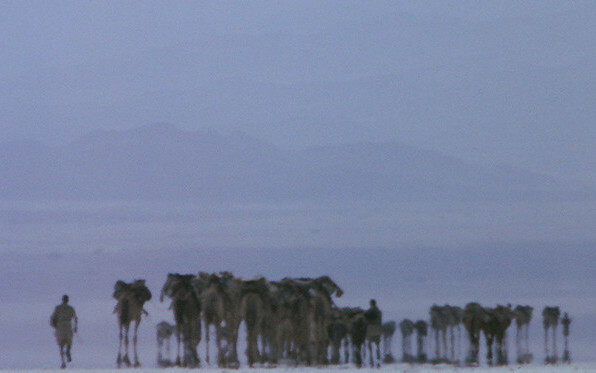 One of my filmic interests in Ethiopia was to see and film the salt trade between the Highlands and the Dallol Depression, a wondrous environment of unbearable heat and intense color. I managed a start only and these are the bits that emerged. Early in the seventies I was involved in the programming of a ABC affiliate TV station in Boston (Channel 5). I was given the opportunity to make what I called “non commercials” to be shown between programs just like a conventional advertisement but consisting instead of a 60 second look at a commonplace social activity. Policeman was one of several such “non commercials” that aired on this station to many peoples’ astonishment. The only film except for helping John Marshall with The Hunters that I did when I went to the Kalahari in 1957. I became entranced by an old lady about whom I photographed and made this little film. 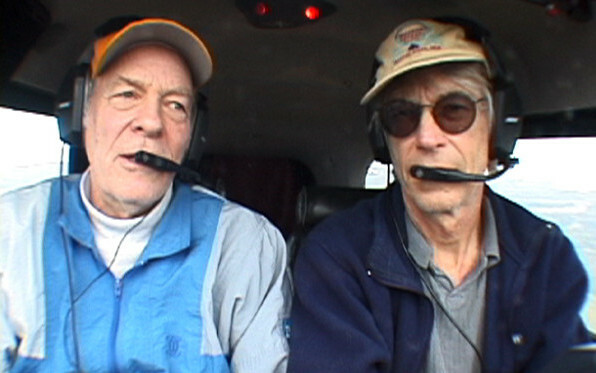 Bob Fulton asked me to join him to do aerial photography in the Southern Chilean Andes. We rigged microphones to record what we were saying to each other as we flew among these extraordinary formations. The coastal Danakil in Northeastern Ethiopia have found an environmentally suitable way of life netting sharks far out to sea which they export to the south Arabian states. 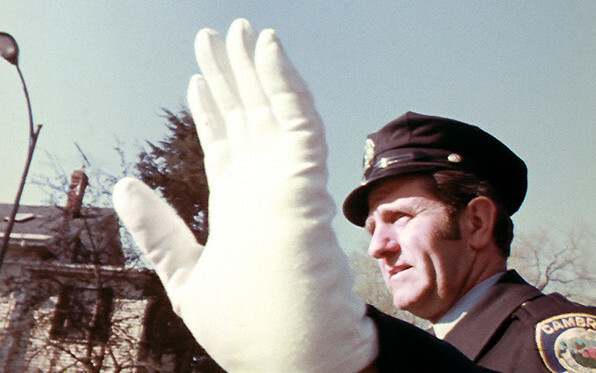 While active in the programming of ABC affiliate Channel 5 in Boston, Gardner was permitted to make a few short one-minute vignettes illustrating the working lives of relatively ordinary people. These vignettes were meant to be used by the TV station as ‘non commercials’ or unexpected looks at ordinary lives. While shooting in Benares for Forest of Bliss, I stumbled upon a temple visited by women who came to it with a variety of ailments including love sickness and problems with their families. 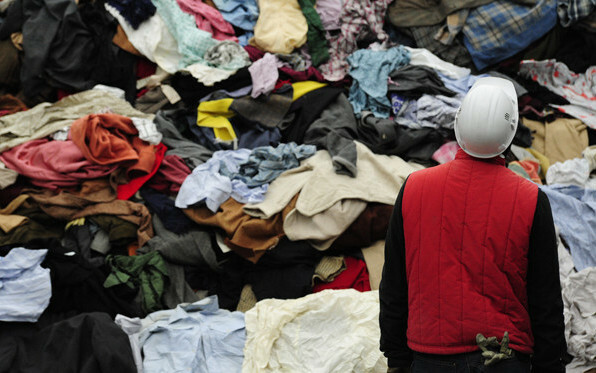 This fragment begins to indicate the extent of their despair. One of my thoughts while shooting Forest of Bliss was to see and hear what poets might have to say about their surroundings. These scenes recount some of their thoughts.